You hear the horror stories all the time about auto dealerships putting out deceptive advertising to entice people to get through their doors. That’s one practice you won’t find from us at our Waconia, MN dealership serving the Hopkins, Eden Prairie, Minnetonka, Hutchinson, Prior Lake, Shakopee and Delano, MN areas. Not only is this practice of deceptive pricing that happens far too often illegal, it’s also just a bad way of earning customer loyalty. You’ll find a transparent and crystal clear way of pricing and selling cars here at our dealership, giving you the best car shopping experience around. At Waconia Dodge Chrysler Jeep Ram we believe in being fair, honest and upfront with our customers, treating them with the respect they deserve. Much of our new inventory is listed at MSRP, for a variety of reasons. We adhere to the Federal Trade Commision’s online advertising recommendations that the price displayed should be a price everyone qualifies for. We follow the National Automobile Association Code of Ethics, and respect the Minnesota Better Business Bureau recommendations. Manufacturers may offer special incentives that some customers may not qualify for. We do not want to misrepresent these incentives, and customer eligibility requirements will be addressed individually on a case-by-case basis. Manufacturers can change incentives frequently. Our vehicles are listed on multiple websites, and pricing changes may be delayed up to two days. We want our customers to have the most up-to-date pricing available, as confirmation is only a phone call or email away. Our approach to pricing is fair and honest. To get the most current pricing for the vehicle you are interested in, give us a call at (844) 204-1595 or email a member of our staff and they will be happy to offer up-to-date factory incentives and pricing, and talk you through your options. Finance Cash: This additional discount is only available if you finance at the dealership with the bank of their choice. It is not an actual factory-backed incentive. At Waconia, you won’t be forced into a specific bank to use for your auto loan. Lease Loyalty: This discount is only available to people who are about to turn in a Chrysler lease. In reality this is a small number of people, as Chrysler was essentially out of leasing for several years. Dealership Loyalty: In order to get this rebate, the buyer must have previously been a customer or had service work done at the dealership. Other penalties from the FTC include dealerships using faulty or misleading language when it comes to pricing, stacked rebates and incentives. Often dealerships will mix up leasing and purchasing language making it very confusing for customers looking for a new car. Here in Waconia, you’ll find transparent buying process, and we’ll make sure you’re clear on what your loan and lease options are. 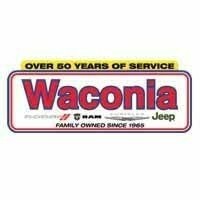 We make everything clear and transparent here at Waconia Dodge Chrysler Jeep Ram because we truly value all of our customers, past, present and future. Shop with a clear understanding of what we’re offering and come on over today. You Don’t See The Vehicle You Are Looking For? As exciting as it can be to look through all of our available new models and used cars, sometimes you’ll visit our Waconia, MN dealership with a clear picture of what you want. Unfortunately, that tunnel vision might lead to some disappointment upon discovering we’re out of stock of the kind of vehicle you’re hoping to lease or loan, but luckily, we have a solution for you. If you know what kind of car you’re looking for, we can and will order it from other dealerships. This gives you the car you want, while still allowing you to shop locally here at our dealership serving the Hopkins, Eden Prairie, Minnetonka, Hutchinson, Prior Lake, Shakopee and Delano, MN areas. 49 percent of our vehicles are dealer traded, which proves how dedicated we are to finding you the car that suits your style and needs. Our dealership has an 80% success rate in locating the exact vehicle you want. There is no extra fee for locating the exact vehicle you need within 300miles*. Let us do the work for you! If you’re looking for a specific used car in Waconia, we have access to thousands of pre-owned vehicles on automotive auction websites, and can find cars for you across the country. Any make or model is fair game, and all located vehicles come with a pre-run vehicle history report. Our unique position gives us access to Chrysler Corporate Cars, 1-Owner Lease Returns, and more! If the vehicle is not exactly what you described for us to find, we will keep it and you are free to go! Find the car that excites you here at Waconia Dodge Chrysler Jeep Ram today, and always keep in mind that we’re more than happy to get the model you’re looking for over here in no time so you can be off on your way as soon as possible. If it’s not on the lot, you still have access to it. If needed, we can also custom order your next vehicle. Most custom orders take six to eight weeks to be completed, and we will do what we can to get you exactly what you are looking for. *Vehicles located outside a 300mile range may have an associated fee for the transfer.